Our Sontronics STC-3X PACK is an all-in-one microphone and accessories package, together representing the ideal solution for achieving professional-quality recordings at home or in the studio. 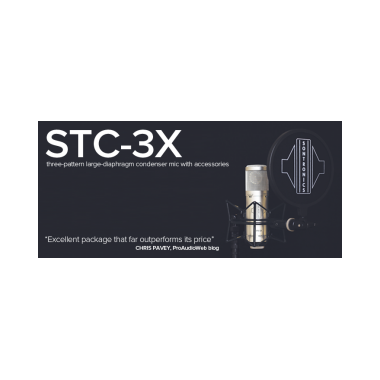 Our British-designed STC-3X microphone is a multi-pattern condenser featuring the three most commonly used polar patterns – cardioid, omnidirectional and figure-of-eight. These are selectable using a simple switch on the rear of the mic. The STC-3X boasts a dual one-inch, gold-sputtered diaphragm housed in a large, open grille and its filter and pad controls make it a versatile, flexible workhorse in any recording situation. 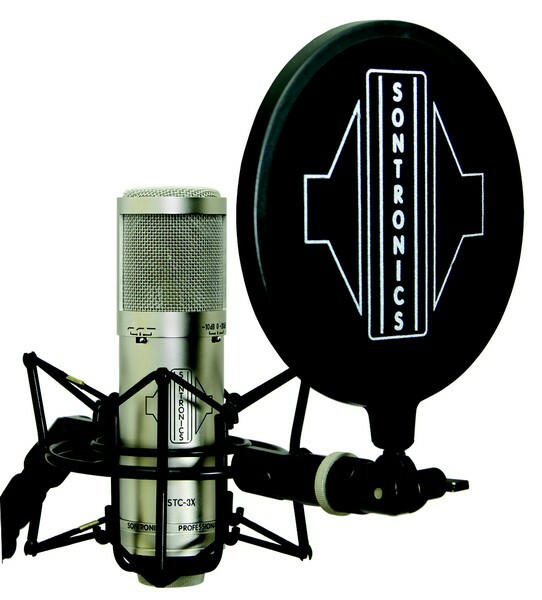 In fact, thanks to its three-stage pad and three-stage filter as well as its three polar patterns and bundled accessories, the Sontronics STC-3X mic is a best-seller into education (see below left for just a small list of schools and colleges using and enjoying it). The STC-3X gives stunning results on everything from male and female vocals to acoustic guitar, piano, percussion, saxophone and other acoustic instruments. It also works extremely well on spoken word, making this a great set-up-and-go option for voiceover, broadcast and podcast. All you need is an interface and some headphones! Users tell us that the Sontronics STC-3X gives impressive results on amplified sources such as guitar amps, bass cabs and re-amping monitor outputs, while in omni mode, STC-3X is fantastic for room and overhead miking as well as ensemble recording (backing vocals, choral, instrumental, orchestral or rock band!). In figure-of-eight mode, STC-3X is perfect for stringing instruments, for head-to-head interview or even rapping, as well as for X-Y or mid-side stereo miking applications. 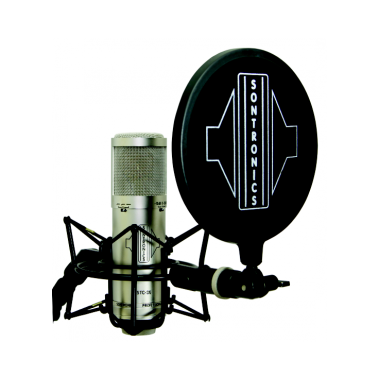 Like all of Sontronics mics, the STC-3X microphone is protected by our FREE LIFETIME WARRANTY (send us an email to activate it). 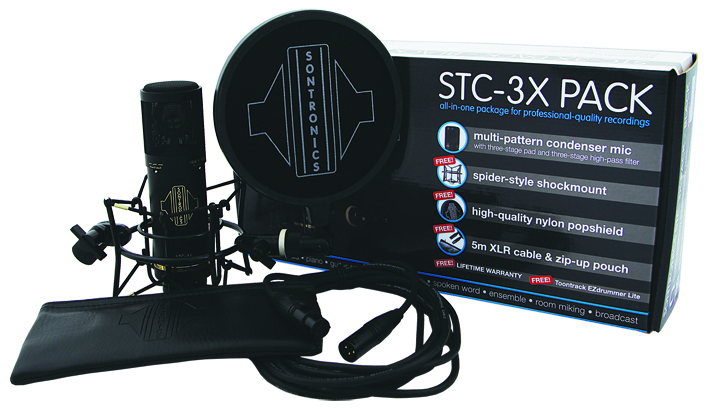 You should be able to try out an STC-3X via your nearest Sontronics stockist (check our list of UK stockists, US stockists, Portuguese stockists or contact your local distributor), and some of our partners are currently offering the STC-3X with a FREE STC-10 pencil microphone, giving you two mics for the price of one! Click this link for details!! 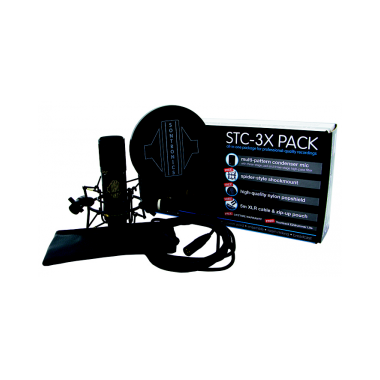 Whatever you do with your STC-3X Pack, it'll make you feel and sound like a professional without breaking the bank!